Well-maintained hardwood floors will look incredible in any home. But, you might have several area rugs throughout the home to give you and your family a soft and warm surface to walk on. While you can put these rugs anywhere, they are often found in the living room, bedrooms, and even hallways. So, it is only natural for you, your family, and your guests to see them whenever spending time in your home. It is crucial to keep both the hardwood and area rugs clean, but they require different cleaning methods. Ideally, you should make area rug cleaning part of your standard routine for professional floor cleaning. When you keep up with cleaning the area rug, you will keep dirt from getting on the hard surface. Dirt is an issue because it can lead to micro scratches, which over time can lead to visible marks. So, you do not want to let your area rugs remain dirty as it will either reduce their lifespan or damage the hardwood. To give your hardwood flooring a shine that makes it all look brand new, you need to polish it. Whether you handle this yourself or you get help is up to you, but this is also the perfect time to get professional area rug cleaning. Vacuuming and immediate stain cleanup are enough to keep area rugs clean for a while, but dirt and grime will eventually build up to a point of needing a stronger cleaning. When you handle these cleaning tasks at the same time, you do not have to worry about dirty area rugs prematurely wearing down the fresh polishing on the hardwood floors. 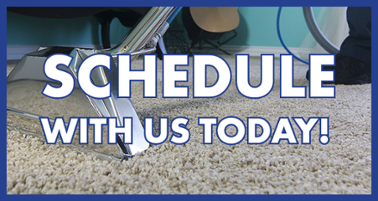 Have any questions about our cleaning services? Please contact us at any time.